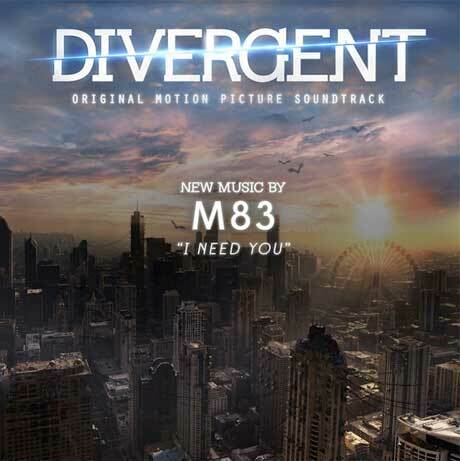 Now that we have all the details for the upcoming Divergent soundtrack, we're getting another taste of what's in store via M83's contribution "I Need You." As you can hear below, the track finds Anthony Gonzalez in a very soft-rocking mind set, as he gets all ballad-y and teary-eyed. However, hold tight for that sax solo. See what we mean by listening to the track below via Buzzfeed. The Divergent soundtrack, which also features A$AP Rocky, Kendrick Lamar, Skrillex, and a team-up between Tame Impala and Kendrick Lamar, arrives March 11 through Interscope, and the film itself hits theatres March 14.